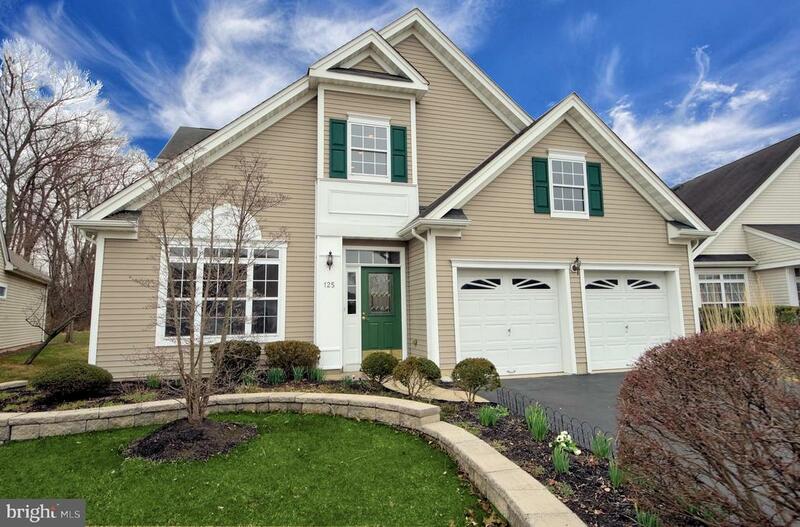 All West Windsor homes currently listed for sale in West Windsor as of 04/20/2019 are shown below. You can change the search criteria at any time by pressing the 'Change Search' button below. If you have any questions or you would like more information about any West Windsor homes for sale or other West Windsor real estate, please contact us and one of our knowledgeable West Windsor REALTORS® would be pleased to assist you. "This regal and sunlit Colonial sits on a generous .87 acres on a tranquil cul-de-sac. It is evident that attention has been paid to each detail - a curved pathway leads past neatly landscaped beds to the Northeast facing front door. An elegant 2-story foyer introduces the home's substantial molding, as hardwoods impress in formal living and dining rooms, as well as the towering Great Room, where a gas fireplace and 2 levels of windows wash the room with ample natural light. The eat-in kitchen will impress all cooks with maple cabinetry, glass tile trim, center island seating and stainless appliances that include 2 Miele ovens. Glass sliders lead to the fabulous outdoor space featuring a large patio, gunite pool, and spa - the stacked stone waterfall and surrounding trees and plantings creates your own personal oasis. One main highlight of this stunning home is the generous main floor bedroom and full bath that can pinch hit as an inspired library, office or playroom. Upstairs the stunning vaulted master impresses with hardwood floor, sitting area, 2 walk-in closets and spa-like bathroom retreat. Two bedrooms with Jack 'n Jill bath and a 3rd en suite complete this area. The second staircase off the kitchen leads to the very private 6th bedroom suite ideally suited for in laws, au pair or long-term guest. 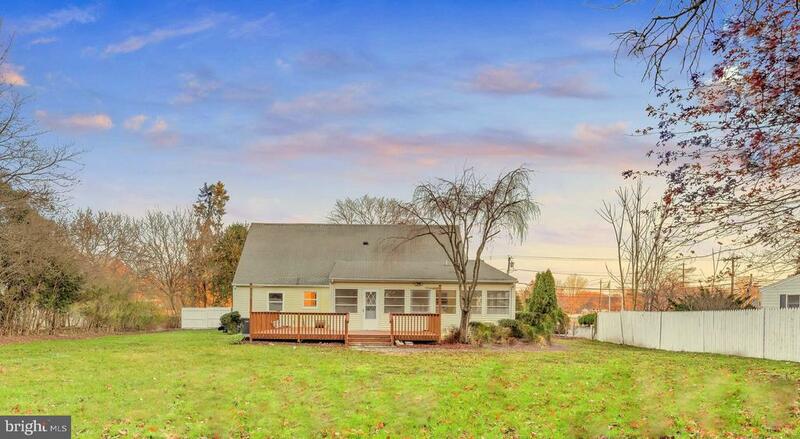 Less than 10 minutes from Princeton Junction train station. WW-P schools." "ELEGANCE & WARMTH blend beautifully in this grand 5 bedroom / 3 bath luxury home located in one of West Windsor~s most desirable neighborhoods! Curb appeal abounds with an impressive stucco fa~ade, stunning windows, and a manicured landscape. Step inside and be greeted by a soaring two-story foyer, gleaming hardwood floors, and a bright open floor plan. Sophisticated formal rooms create an impressive backdrop for entertaining! Both the living and dining rooms feature spectacular windows, hardwood floors, and decorative moldings. Prepare to be wowed by the newly remodeled kitchen! No detail was overlooked in creating this magazine-worthy chef~s kitchen! Gorgeous quartz counters grace the surface of an enormous island loaded with storage, endless cabinet space, 5-burner Thermador range with hood, high end faucet and pendant lights, wall oven, built-in convection microwave, warming drawer, huge pantry, and a stunning tile backsplash combine to create the kitchen of your dreams. This magnificent space opens to an inviting family room with cozy wood-burning fireplace, hardwood floors, and a wall of windows. The spacious sunroom is sure to become a favorite gathering spot with its abundance of windows and access to a fabulous paver patio. The first floor also offers a private study/bedroom and a full bath- ideal for visiting family & guests! Upstairs is the impressive master suite with an elegant tray ceiling, gleaming hardwood floors, multiple closets and an enormous en suite bath with a relaxing jetted tub, two vanities and upgraded shower tile. Three generously-sized bedrooms with hardwood floors and recessed lights, and a sparkling main hall bath complete this level. There is additional living and entertaining space in the beautifully finished basement! This large area features multiple spaces for relaxing and gathering, PLUS a dedicated exercise room and an incredible home theater! Lucky new owners will also appreciate the tree-lined private back yard, paver patio, t"
"YOUR DREAM HOME AWAITS! Impressive curb appeal begins with lush landscaping and an elegant brick walkway leading to this gorgeous brick-front home! Nestled on a quiet cul-de-sac in one of West Windsor's loveliest neighborhoods, this 4 bedroom / 4 full bath luxury home has been tasteful updated with quality materials and fine finishes throughout. Step inside the soaring two-story foyer and prepare to be impressed by picture frame molding, gleaming hardwood floors, and a sunlit interior. Sophisticated formal rooms create an ideal backdrop for entertaining with spacious living and dining rooms boasting molding details and gorgeous windows. The heart of this home is the fabulous remodeled chef's kitchen where no detail has been overlooked! Featuring a sophisticated color palette, the kitchen boasts gorgeous granite counters, an oversized island, quality wood cabinetry, stainless steel appliances (including a brand new refrigerator), electric range with hood, glass subway tile backsplash, decorative mosaic tile behind range, high-end faucet, stylish LED pendant lights and hardwood floors. A spacious eat-in area offers access to the lovely patio and private back yard. The open floor plan continues with an inviting and spacious family room enhanced by a vaulted ceiling, beautiful skylights, an abundance of windows, a cozy gas fireplace, and a rear staircase offering easy access to the second floor. This floorplan also features French doors opening to a handsome first-floor study connected to a full bath! This space could easily be transformed into a convenient guest room to accommodate family and friends. The solid wood front staircase leads to the second-floor master suite with a ceiling fan, crown molding, loads of closet space, a relaxing sitting room AND a magnificently remodeled en suite bath! This spa-like space was meticulously designed to create a feeling of tranquility and luxury- with exquisite designer tile work, oversized frameless shower, gorgeous dual-sink va"
"Wow! 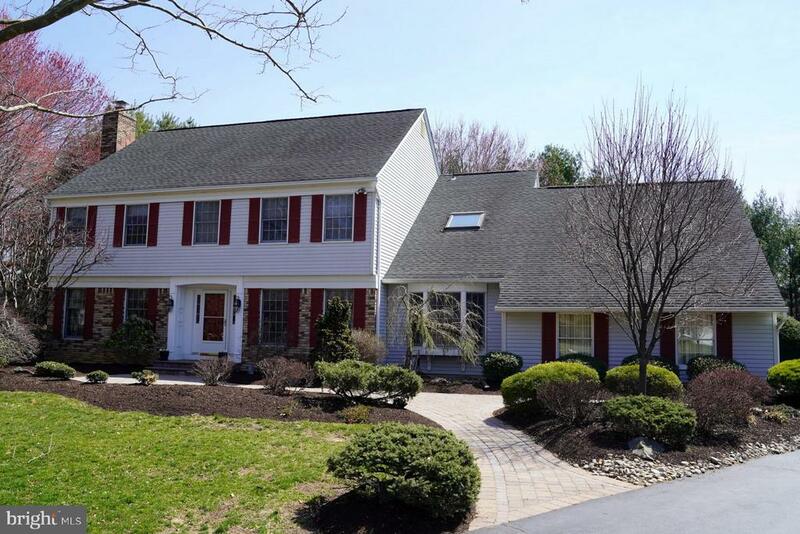 Welcome home to this beautiful custom built 4370 SF center hall colonial. 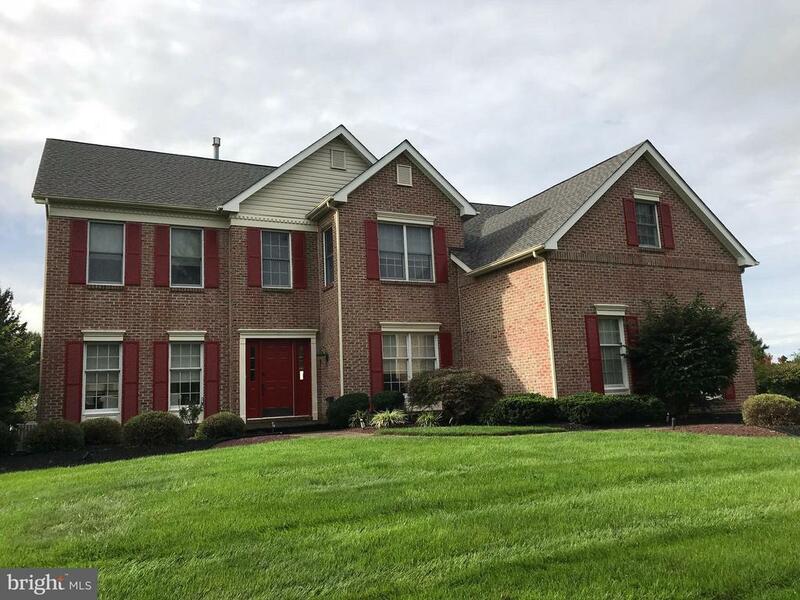 Impeccably maintained, be prepared to be amazed from the moment you cross the paver walkway and enter through a newly installed double steel front door into a grand 2 story entrance foyer featuring granite flooring flanked by formal dining and living room with gas fireplace. The great room boasts vaulted ceilings, sky lights, ceiling fan and gas fireplace with beautiful granite surround. The granite floored kitchen features cherry cabinetry with custom glass panels, SS appliances including French door refrigerator and center island. There is a 2nd catering kitchen with outside vent and large pantry for all of your entertaining needs. Through lovely French doors you~ll find an in-law suite with bedroom, sitting room with private entrance and en-suite bath. Gleaming hardwood flooring is sure to please. Upper level features a grand master suite with sitting room, office, his and hers master closets as well as a master bath with jacuzzi jetted tub, dual vanities and stall shower. 3 large spare bedrooms, 2 sharing Jack and Jill bath, all with walk-in closets. Upper bridge hallway overlooks the main entrance foyer and the great room. We are not done yet. The finished basement provides additional living space through the entire footprint of the house. It has a host of storage space and a convenient half bath. The professionally landscaped yard with beautiful extended custom paver patio. Two zone HVAC. Close proximity to parks, golf course, shopping, train and major arteries." 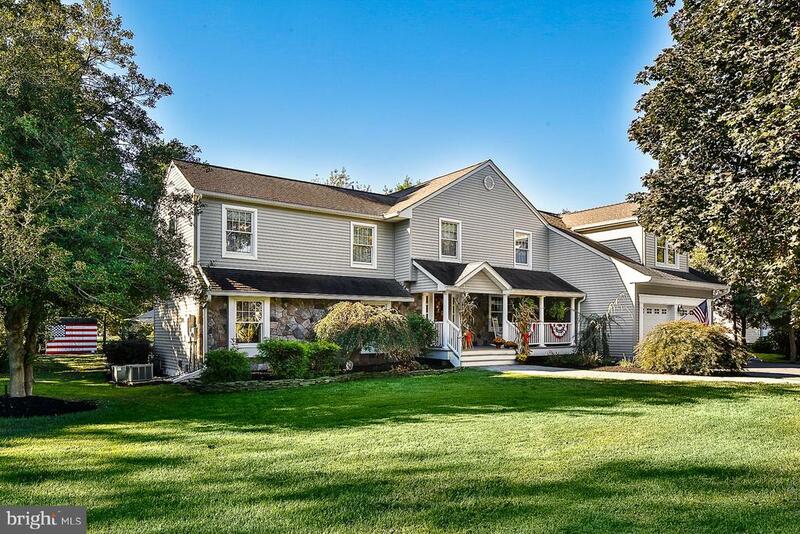 "From sleepovers to grand-scale dinners, barbecues to holidays, this West Windsor stunner handles all with ease and graciousness, thanks to a classic floor plan and sweeping space - creating the perfect modern Colonial. Columns and sunshine connect open living and dining rooms, while a chef~s kitchen pleases on every level, with sparkling granite counters, stainless appliances, a pull-up island. Step out to the expansive patio with a built-in grill, or take in the flicker of the fireplace, in the skylit Great Room. French doors and 3 exposures of windows wrap the conservatory with light. A half bath and laundry/mudroom round out this floor. The finished basement offers tons of play and storage space - even an area for wine! Front and back stairs rise to the bedroom floor, where 3 share a beautifully-tiled hall bath, and a luxury master suite pampers lucky homeowners with a sitting area, built-in dressing table, and a room-sized closet. The renovated master bath features a modern, free-standing tub and marble vanity. 3-car garage." "Handsome warmth on a sun-graced corner lot. 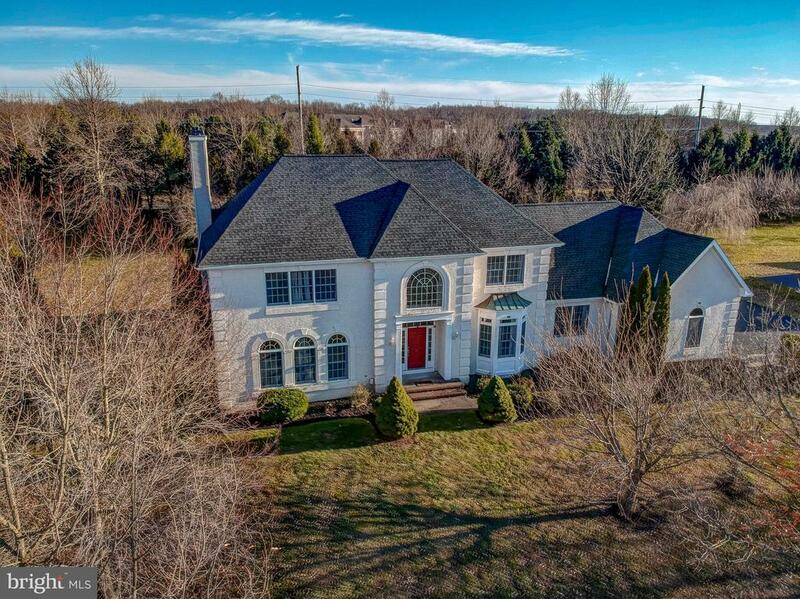 In sought-after Windsor Hunt, this distinctive Colonial has been updated and impeccably cared for, from its attractive fieldstone trim to spectacular new Brazilian Oak hardwoods. Edged with chair and crown molding, the dining room charms with a bay window seat; the living room opens via French doors to the fireside family room. The cherry and granite kitchen has a 5 burner gas range and prep island that will keep even the seasoned chef happy. Vaulted cedar ceilings top the 3-season sunroom, whose wrapping casement windows let in fresh air, sunshine, and views of the tall pines that dot a paver patio, hot tub and level fully fenced yard. The finished basement offers even more space to pursue a hobby or a workout. All 2.5 baths have been updated. Ceiling fans in all 4 bedrooms offer a gentle breeze, including the multi-room master suite, whose sitting room and stone-trimmed bath create a luxury hideaway for homeowners. Less than 10 minutes to Princeton Junction train station. WW-P Schools." 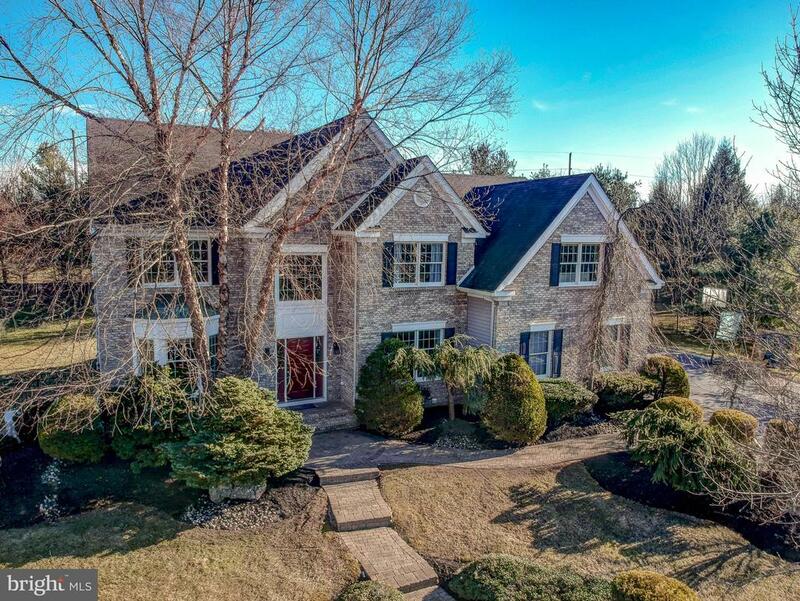 "Gracious Princeton Oaks center hall colonial remodeled for today's style of living and beautifully situated on a quiet cul-de-sac. Refinished hardwood floors throughout flow seamlessly from one room to another while the interior was completely freshly painted. The gourmet kitchen with its handmade natural cherry cabinetry is a work of art! Designed and executed by Roland Majer with the owner's input, this is a clear case of form meeting function. Countless parties and family dinners were hosted here and its style and function are timeless. Outfitted with pull out drawers, pantry cabinets, high end appliances and granite counters this chef's kitchen is a delight as it opens into the family room with its wall of custom cabinetry around the fireplace crafted to coordinate with the kitchen. For the large or multi-generational family, there is a HUGE FIRST FLOOR 5th bedroom/playroom and nearby full bath in ADDITION to a first floor office. Upstairs you'll find four more bedrooms, the master with two walk-in closets, updated bath and additional loft room for a quiet retreat or second home office. The hall bathroom was completely remodeled in shades of gray and white with elegant floor tiles, feature tiles in the bathtub surround and a comfort height white vanity with granite top and undermounted sink. The neighborhood of Princeton Oaks is unique in West Windsor with roomy lots, meandering community paths, several tot lots and tennis courts for the homeowners use (there is one just a short walk away) and within walking distance of the acclaimed Dutch Neck School. Recent updates include: Water heater (2018), fully painted interior (2019), refinished hardwood floors (2019), updated master bath (2019), new septic tank and distribution box (2018.) This is a must see home, filled with sunshine, skylights and several bay windows adding great angles to this traditional home. Please click on the virtual tour for a true 360 view of the house and available virtual reality"
"One of those homes that you have to see to even believe. A thoughtful renovation, designed by RFM Architects and constructed by Mangone Builders, has created this sophisticated and light-hearted home, made picture-perfect by thoughtful landscaping, an inviting porch, and a pool with a cascading waterfall. Stylish entertaining begins in a warm, welcoming living room with a decorative fireplace and continues into a sunlit family room with a nearby half bath and sliders to the terrace. The spectacular custom kitchen is done to the highest standard with stainless appliances, granite counters, breakfast bar and gorgeous millwork, including a ship's porthole. An archway leads to an exquisite copper-trimmed butler's pantry, mudroom with chic built-ins, and the paneled, skylit dining room, which soars under custom-painted blue skies. Front and back staircases lead to a wainscoted half bath with laundry, vaulted loft/media room with deep storage closets, the delightful master suite, and 3 more bedrooms that share a bath - all with a winningly-relaxed sense of style. Top WW-P schools." "This beautiful home sits back on the beautiful park like setting.It welcomes you with a huge Porch, where you can have your morning breakfast.When you open the door you are welcomed by a huge foyer with hardwood floors.The whole house has brand new hardwood floors and Freshly painted.On the Main floor you have a living room with recess lights,a picture window which opens to the formal dining room with chair railing,chandelier& recess lights.From there you are into the Kitchen with ceramic floors,cherry wood cabinets and granite counter top and breakfast area with chandelier.From this spacious kitchen you step down to the huge family room with recess lights, floor to bottom brick wood burning fire place & sliding door leading you to the beautiful back yard with raised patio and a deck. Two car side entry garage.New powder room. Upstairs the Master Bedroom offers a walk in closet and another closet, Master Bath with Jacuzzi and large skylight with mirror surround.Other three good size bedrooms with a full bath which has a tub and double sink.Basement is partially finished with a room and a full bathroom, utility room and storage area." "The value is built-in. Enjoy the screened deck or have a cook out at the patio, surrounded by professionally maintained landscape. Inside, a fabulous kitchen awaits you, modern appliances enveloped by fine wood and granite. The sunken media room is steps away from the kitchen, easy to entertain guests at a glance. Sensible house design allows heat and conditioned air to maximize effect in sensibly sized rooms, saving utility costs. The basement is unfinished, waiting for talent to finish it off. On the first floor, there is a well-placed bedroom that doubles as a study, steps away from the half bath, terrific for overnight visitors. One of Your neighbors is protected wooded township land, experience a rare treat to have a buffer from civilization. 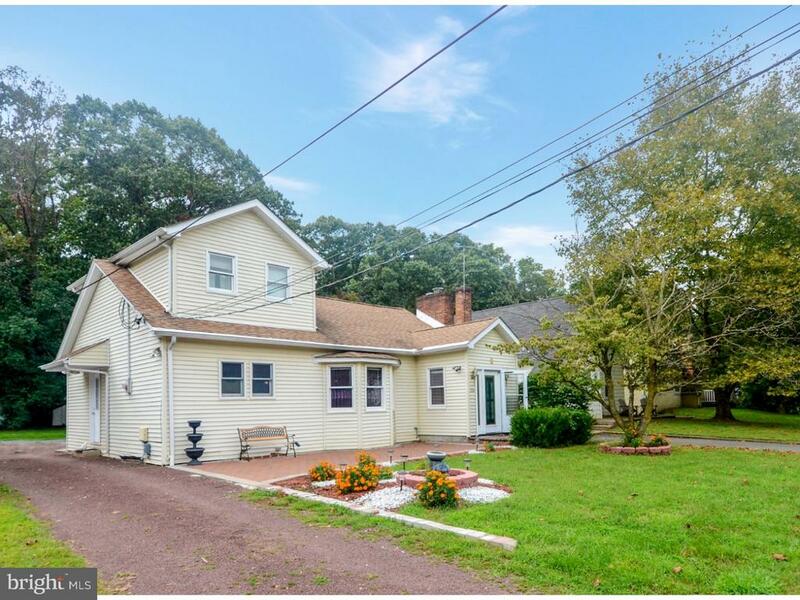 West Windsor touts excellent schools, Easy access to the train, NJTPK, Rt.1, 295, 195, 130, centrally located between New York City and down town Philadelphia. Newark and Philly airports about an hour away. A fantastic house to make your home." "Save the parking fees and walk to the train! Nestled on a large wooded lot this amazing renovated bi-level home has thousands of dollars of upgrades and special features. Beginning with Belgium block trimmed new driveway and custom front steps, this home has new upgraded vinyl siding with additional insulation backing and new windows and doors. The open floor plan offers versatile living for many needs! This spacious four bedroom two and a half bath home has a new custom kitchen with cherry cabinets, granite counter tops, island and stainless steel appliance package. There are two french sliding doors leading from the kitchen and dining room to the new 22x12 trek deck overlooking the private yard. 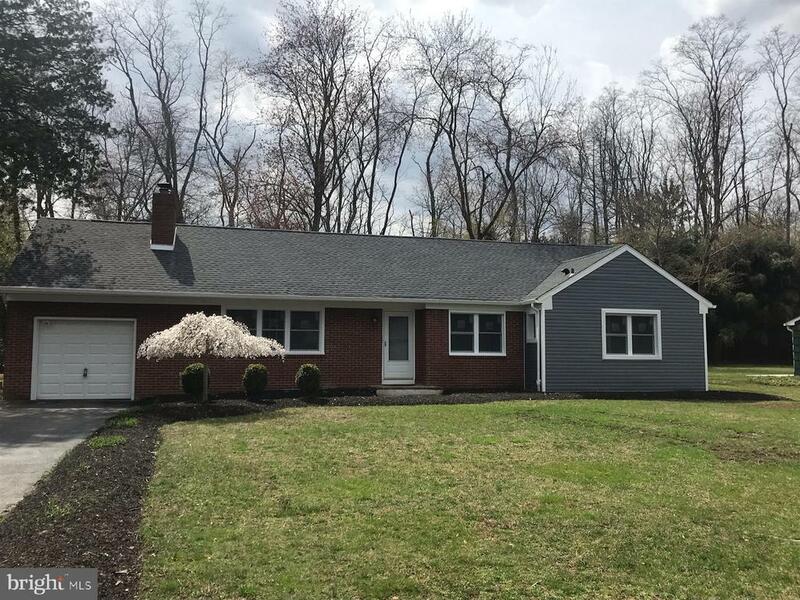 Additional features include family room with fireplace with new carpeting, remodeled bathrooms, hardwood floors, recessed lighting, crown molding, updated electric, newer heater, central air and two car garage with new doors. Convenient to major routes, shopping and schools!" "Great Location and Completely Renovated! Walk to the train, schools, library and shopping. This seven bedroom four full bath home is a great value. Features include formal living room with fireplace, separate dining room, upgraded eat in kitchen and first level bedroom and full bathroom. The second level offers four spacious bedrooms and two full bathrooms including the master bedroom with private bathroom. Also included is an in-law suite with separate entrance featuring a spacious family room, two bedrooms and a full bathroom .This lovely home has a two car Attached garage, basement and beautiful private yard with mature trees. To reduce both energy costs and carbon footprint this home participated successfully in Home Performance with ENERGY STAR program by performing required Home Energy Audit and implementing suggested solutions. The upgrades included, (a) High-Efficiency HVAC system (Carrier's Infinity Series) (b) Sealing and insulation of walls, ceiling, windows , doors and floors including basement and Attic (c) Upgraded Duct Work for improving Air Flow (C) Air Treatment System (Kills bacteria, Mold, Germs and Viruses, Reduce Odors and VOC)"
"East Facing elegant home, totally rebuilt in 2005.Ranch converted to 3 bed 3 bath Bungalow in 2005.Walk to Princeton JCT station, shopping . Walk In closets & full baths in bedrooms.Master bed & full bath on main level, opening to a gorgeous backyard.Floored attic with heating & cooling .Front driveway connected to back for additional parking. Car ports in back with roof.Full unfinished basement with almost ready home theatre, entertainment room, given some work & finishing.Multiple sub pumps. 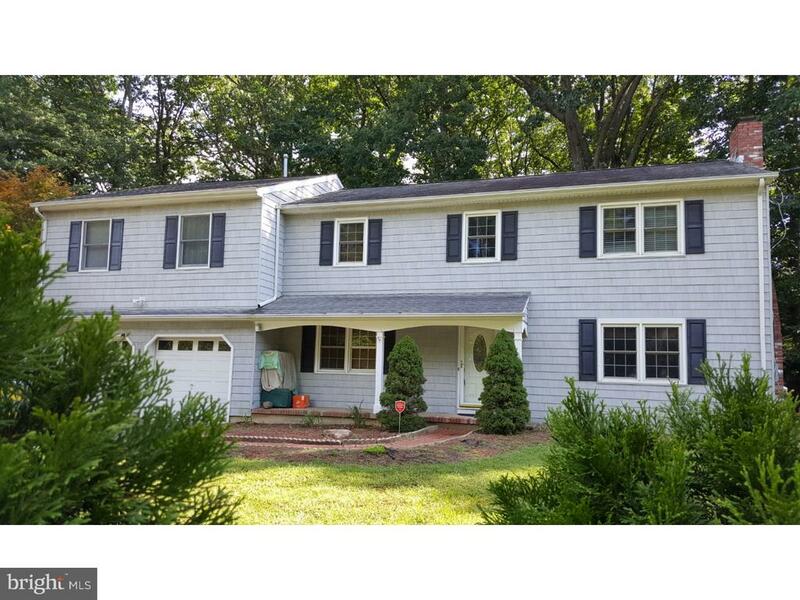 Must see this property from inside for full details.West Windsor schools.Welcome home!" 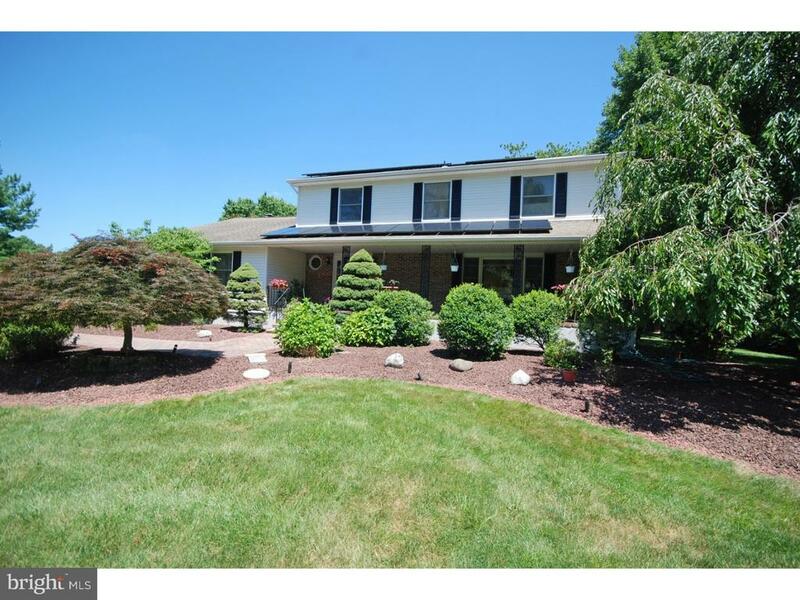 "Four bedroom, three bath multi level home in West Windsor Township. Freshly painted. Kitchen with wood cabinets, new sink/faucets, new granite counter tops, new stainless steel appliances, and new tile flooring. Formal dining room and living room with polished hardwood floors. Large family room with wood burning brick fireplace. Main bedroom with its own upgraded full bath. Two other nice size upper floor bedrooms and a second upgraded full bath. Hardwood floors throughout the upper level. Fourth bedroom is located on the lower level. Rear deck accessible by sliders in the dining room. Hot water heater installed 2018. New roof installed 2019. In ground pool and patio for summer fun. Close proximity to Princeton Junction train station, Princeton, Route # 1,and shopping malls and restaurants." 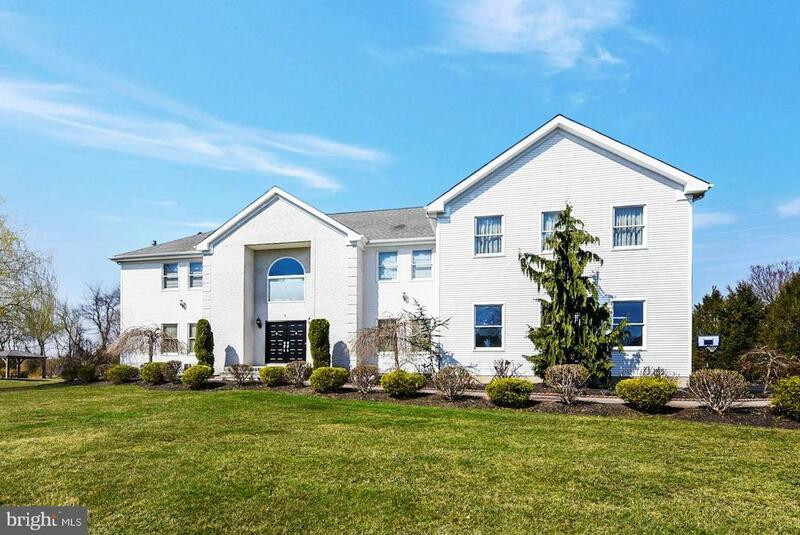 "This incredible property is located under a mile to West-Windsor High School South and just minutes to the Princeton Junction Train Station! Sunlit entry leads you in and opens up to the versatile floor-plan. Beautifully renovated and expanded kitchen with stainless steel appliances, granite counters and elegant cabinetry. Spacious great room and an inviting dining room. Sunny enclosed sun-room which overlooks the deck and back yard. Four bedrooms and two beautifully completed bathrooms. Full finished basement is perfect for entertainment and recreation. Property has been converted to GAS! Gleaming laminate flooring throughout! Too Many upgrades to mention! Don't miss this property!" "Don't miss the opportunity to live in the Largest Model Home in West Windsor's Desirable Active Adult 55+ Community, The Village Grande! Living in this Light and Bright Falston Model will delight the new owner. 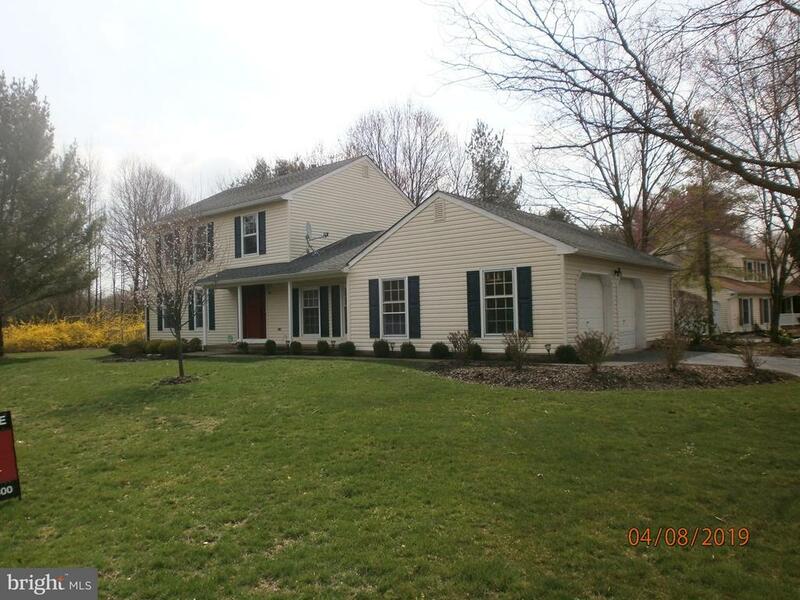 Freshly painted, this home sits on a Premium Lot Backing Trees in the youngest part of the community. So much to Offer~Ceramic Tile flows through much of the 1st Floor. Soaring Ceilings, a Dramatic Open Floorplan, a Gourmet Kitchen with Granite Counters, a Wolf Stainless Steel Commercial-Style Stove and Viking Hood exhausted to the outside and the Formal Dining Room all contribute to making this a Very Desirable Home. Other features include a generous 1st Floor Master Bedroom with en-suite Bath and 2 Walk-in Closets, a second 1st Floor BR and 1st Floor Laundry, and a Deck off the Family Room and Breakfast Room and a 2 Car Garage. Upstairs find the perfect retreat for guests~a Loft, the 3rd Bedroom and a Full Bath! Enjoy the Lifestyle of the Community including a Large Clubhouse, Indoor and Outdoor Pools, Exercise Room, Billiards, Meeting and Game Room, Tennis and more! 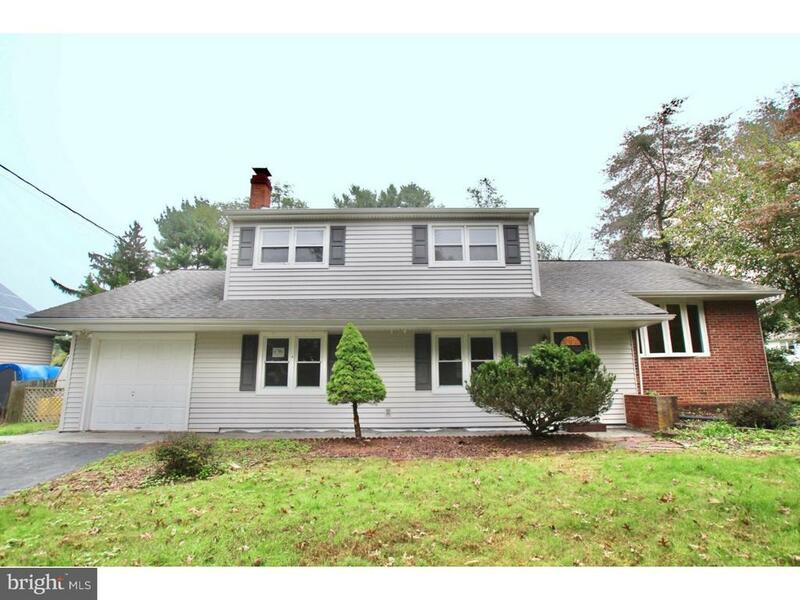 All this so close to the Commuter Train, Major Roadways and Princeton." "Gorgeous remodeled rancher located on a secluded, quiet street with a Princeton mailing address, top-rated, award-winning West Windsor/Plainsboro School system, big living room with fireplace that's perfect for cozy winter nights, fabulous brand new kitchen with new appliance package, hardwood and tiled flooring throughout, 2 beautiful remodeled bathrooms with custom tiling, freshly painted interior, new roof and too many other new features to mention. 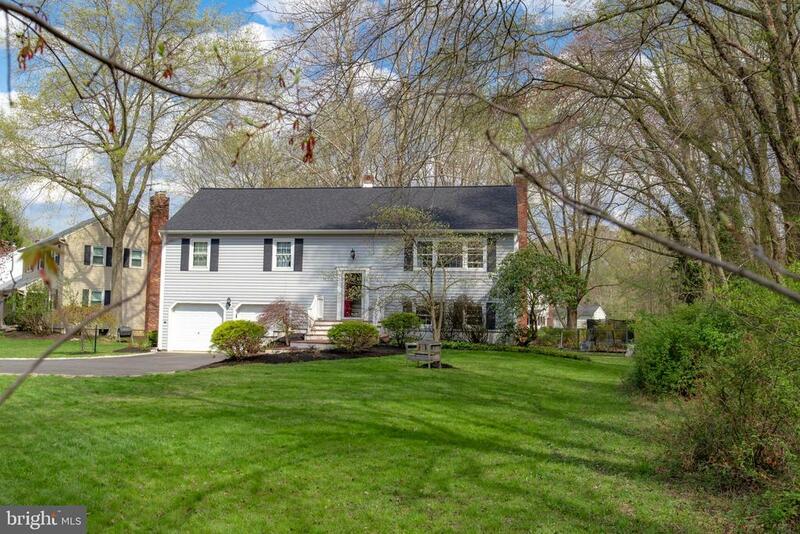 Backs to woods for added privacy, easy access to Princeton Junction Train Station (walking distance via Township walkway), US Route 1 and short distance to Princeton University. Hurry, before it's too late!" "First floor End unit. Belvedere model which is the second largest unit in the development with updated kitchen and bathrooms. Walk in to the warm and welcoming living room with wood burning fire place. Master bedroom with walking closet and updated master bathroom and light fixtures. There is an extra storage off of the balcony. Community is located within easy access to Princeton Junction Train Station, major highroads, Princeton Hospital, Princeton University and shopping malls. It is also within walking distance to the towpath, Market Fair Mall and the Movie Theater. Pet free community with tennis courts, swimming pool and playground." "UPDATE: Kitchen is just updated with Granite counters and Brand New Stainless Steel Samsung refrigerator. Bright and spacious Belvedere model in sought after Colonnade Point. This wonderful condo is adorned with a wood burning fireplace in living room, bay windows in dining, extra cabinets and counter space in the kitchen. 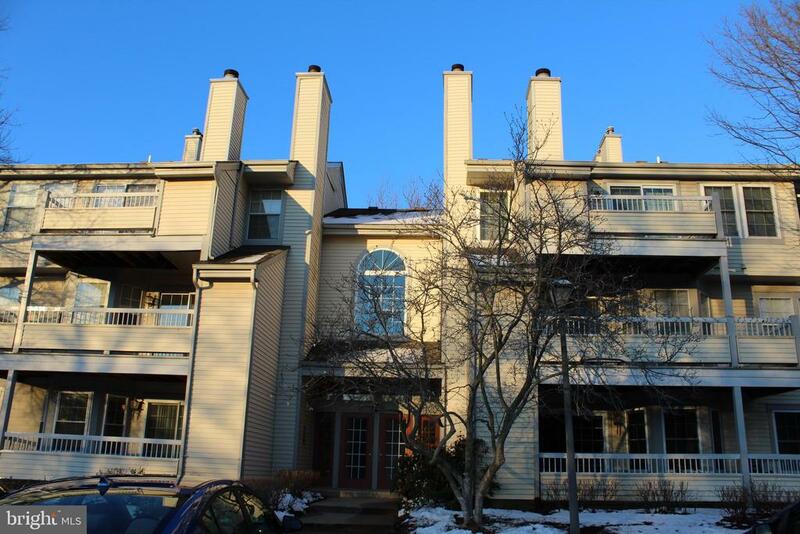 Condo welcomes you with new carpet, new windows and backs to woods providing ample privacy with no annoyance from car headlights at night.Minutes by foot from Market Fair and popular Delaware and Raritan Canal State Park Trail. 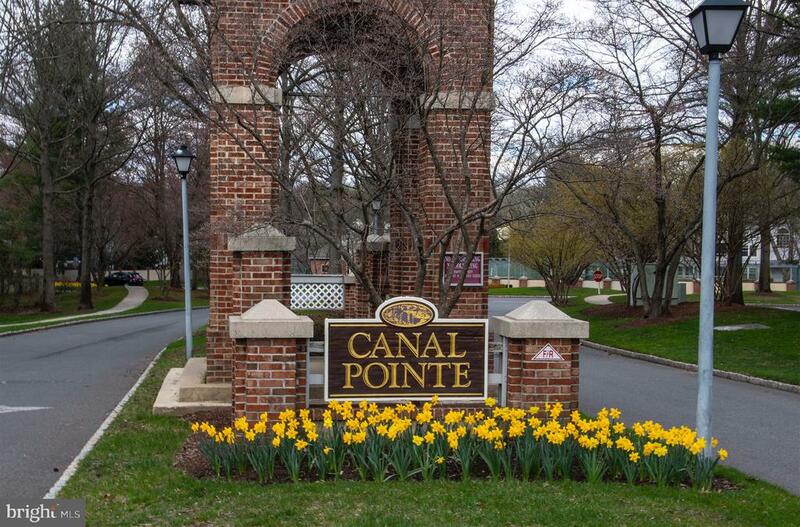 Minutes to Princeton Junction Train Station, Princeton Hospital at Plainsboro, Princeton University, Downtown Princeton, Quaker Bridge Mall, shopping, dining - you have it all - Tranquil living while being close to all. Colonnade Pointe is in the Princeton U bus loopColonnade is a pet free community. Community amenities include a community swimming pool, playground, professionally landscaped community grounds and bicycle/jogging trails."